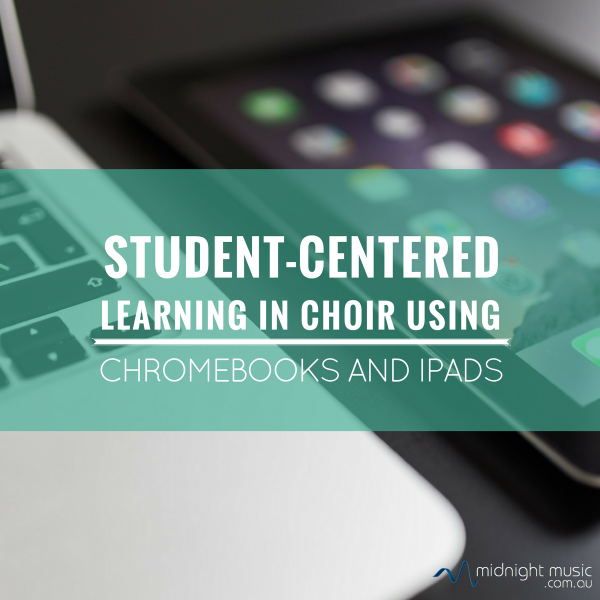 Karla McClain uses technology – in particular iPads and Chromebooks – with her choir students to encourage creativity and to improve music literacy skills in her student-centered classes. I also took some notes while we chatted. Karla shared so many creative ideas for assignments and classroom instruction. After having done a few assignments that have been set by Karla, she gets the students to create their own rubrics and assignment criteria. Because they have already done assignments with her they already have an understanding about the elements that go into a good song. iPads make a great tool for special needs students. They can achieve a level of success even if they have limited motor skills or other abilities.